On Friday the sun shone and I was able to continue Site Condition Monitoring of the vascular plamts on the Raasay SSSI and check Polystichum lonchitis (Holly Fern) sites for the Threatened Plant Project. The results were mostly good news. 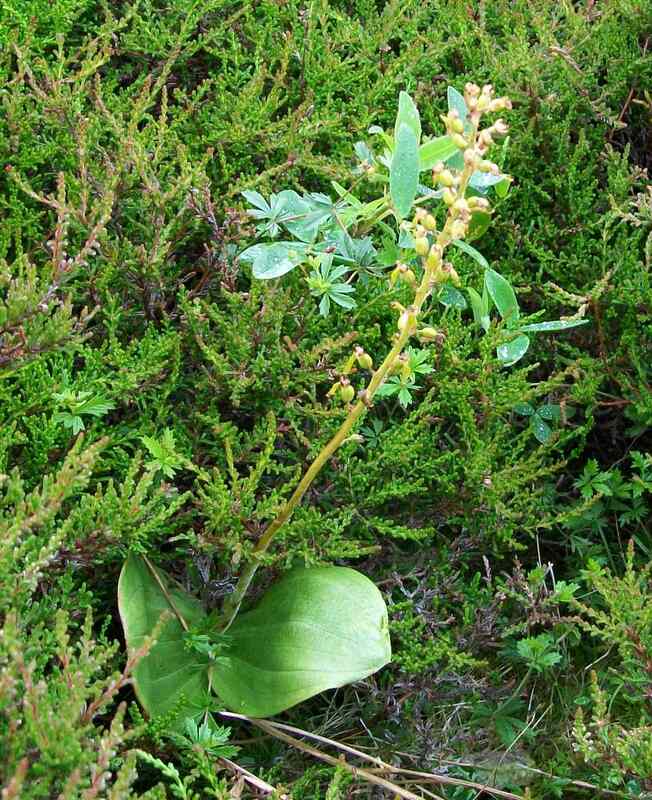 I found a new site for Epipactis atrorubens (Dark-red Helleborine) with 44 plants and additional specimens of Sorbus rupicola (Rock Whitebeam) at one of the known sites. This latter is difficult and dangerous terrain and I am not convinced that I have found them all yet. At another site I found a young sapling – the first time that I have seen evidence that the seeds ever germinate on Raasay. 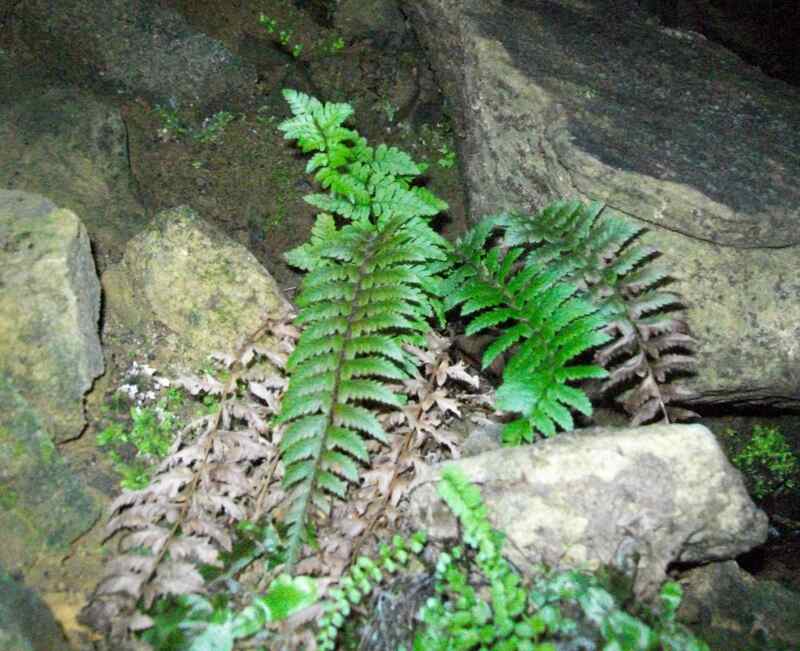 The only downside was the loss of a single holly fern plant from an isolated site – probably a natural event but one worries about fern collectors for this species. The butterflies were varied and numerous – Dark-green Fritillary, Speckled Wood, Green-veined White, Common Blue, Small Heath and Small Tortoiseshell. Also, adult Magpie Moths are now in evidence. 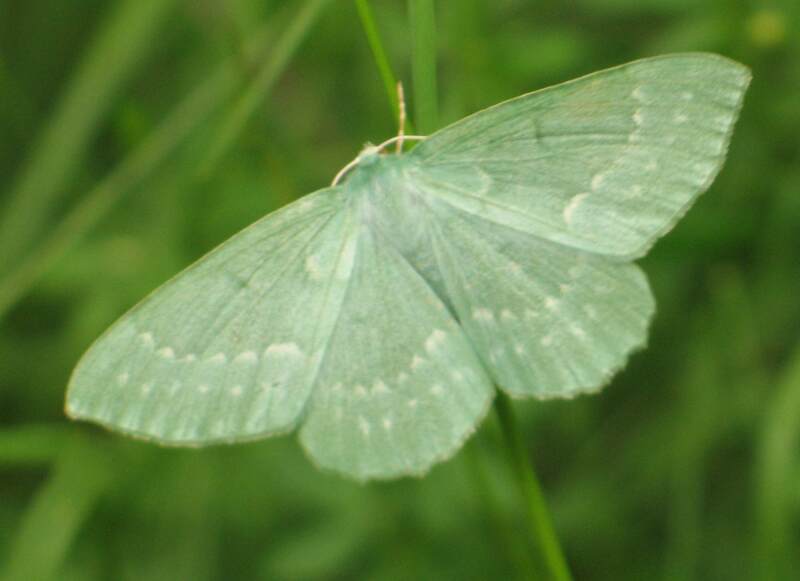 Yesterday afternoon between Brae and Inver on Raasay we spotted a Large Emerald Moth, well actually one and a quarter large emerald moths, there being a wing in a nearby spider’s web too. 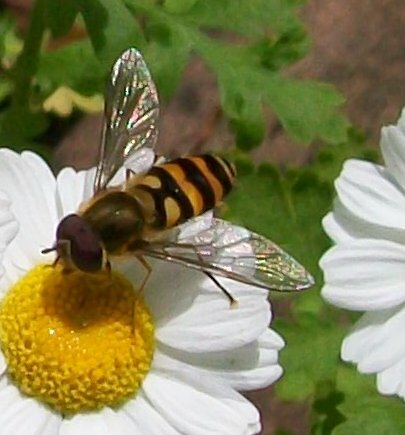 Two hoverflies on Tanacetum parthenium (Feverfew) in the garden yesterday have been identified by Murdo Macdonald as Syritta pipiens and a Syrphus sp. 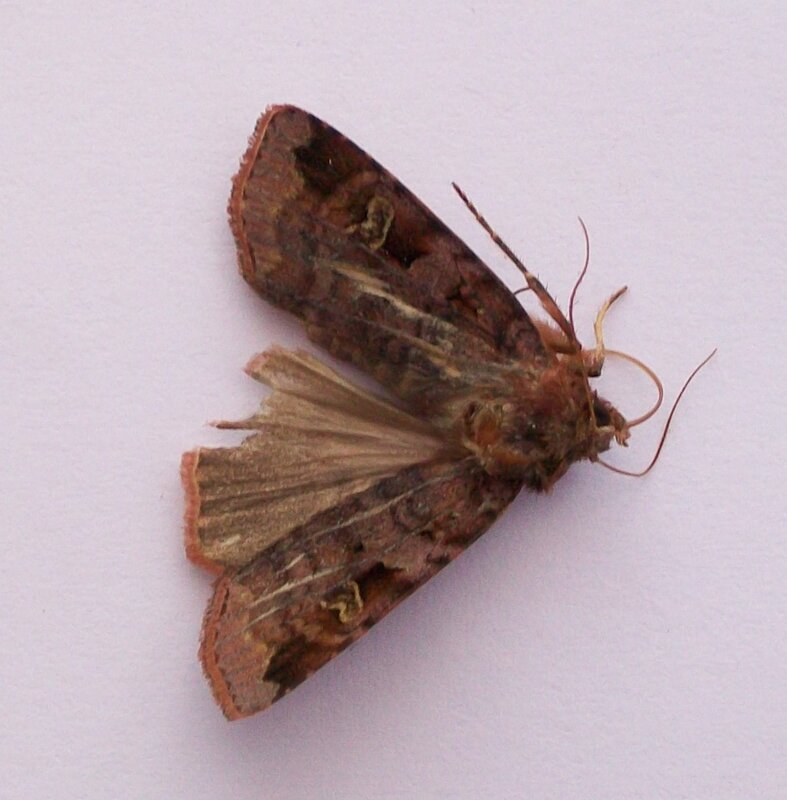 A dead moth in the hall today is Purple Clay (Diarsia brunnea)according to Brian Neath. 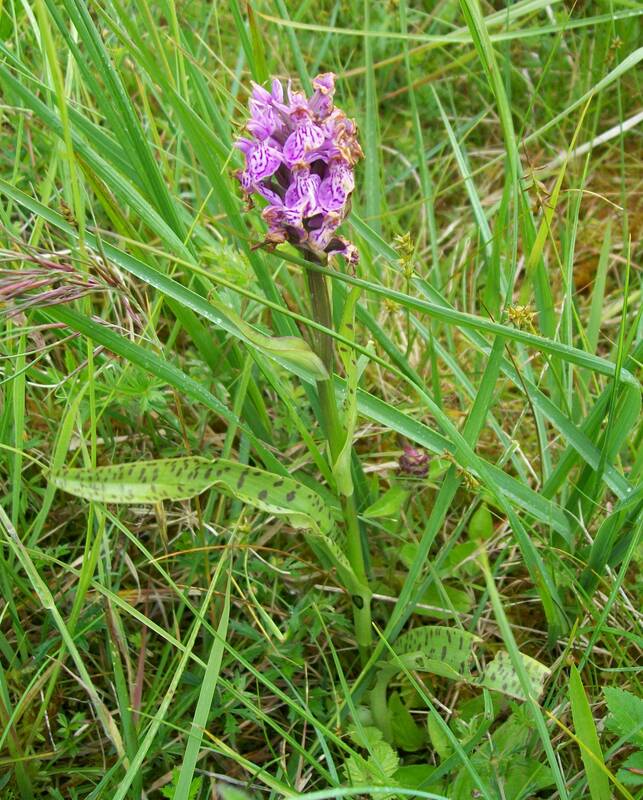 My second hybrid orchid (see below) has been confirmed as Dactylorhiza incarnata x D. maculata (D. x carnea). 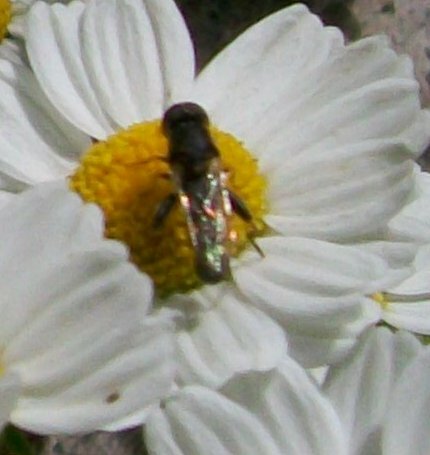 This is uncommon with only a handful of 10 km squares showing post-2000 records on the BSBI Map. In my vice-county the only previous records are from Raasay in the 1930s and Rum in 1974. 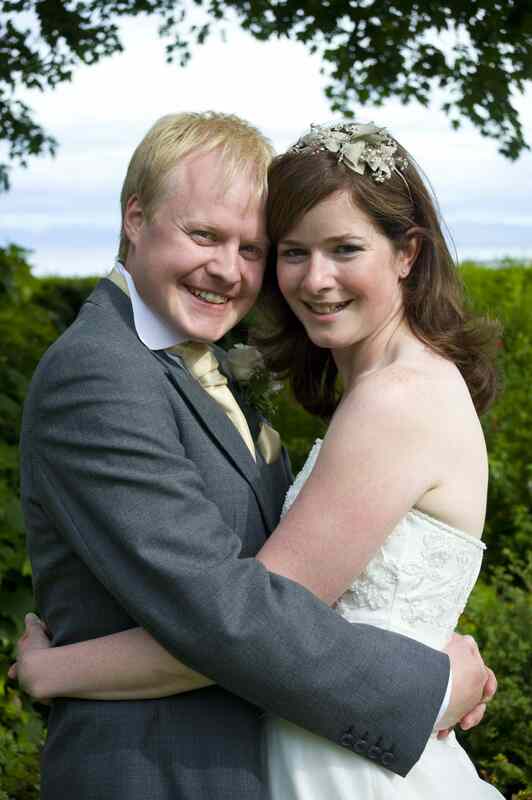 This appears to be the second confirmed record for the British Isles and new to Scotland. I have had confirmation from Ern Emmet of Panaeolus semiovatus from my veggy patch – a first record for Skye/Raaasay. The snail from Raasay turns out to be Balea perversa. Thanks to Andy Keay for the i.d. 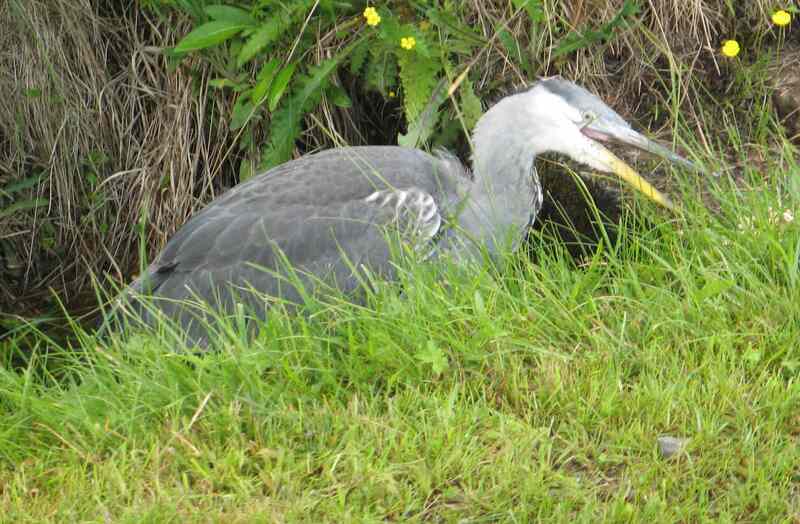 who says it is a native species which is in decline in many areas. 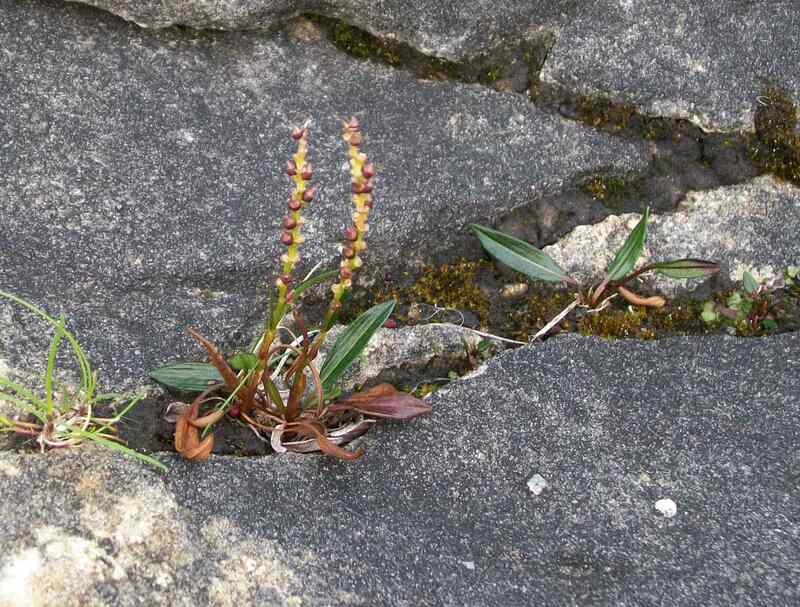 Seems to be doing OK on the Raasay limestone. 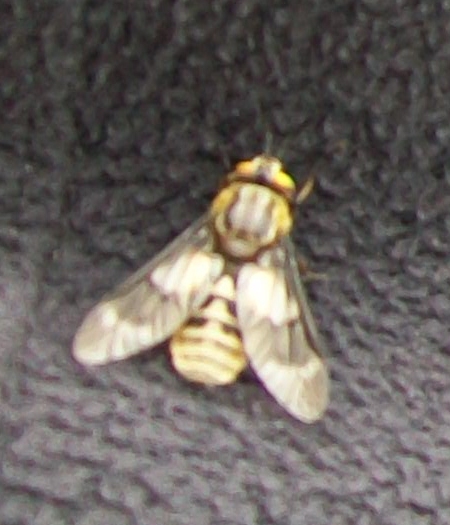 A fly that bothered me on Skye on Wednesday turns out to be Chrysops relictus, described by Murdo Macdonald who identified it for me as an extremely painful horsefly. Some had green eyes, some had orange eyes and at least one had an eye of each colour. Other sightings that day included Meadow Brown, Small Pearl-bordered Fritillary and Large Heath butterflies. 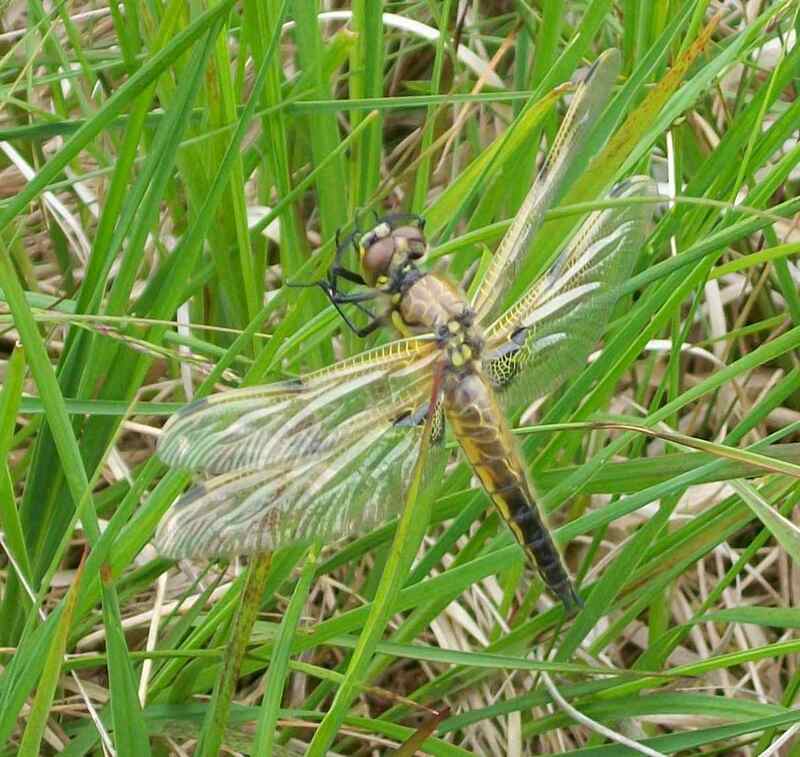 A dragonfly was the four-spotted chaser and damselflies were Large Red and Common Blue. Golden-ringed Dragonfly was seen on Monday on Skye – it is pretty frequent in these parts. 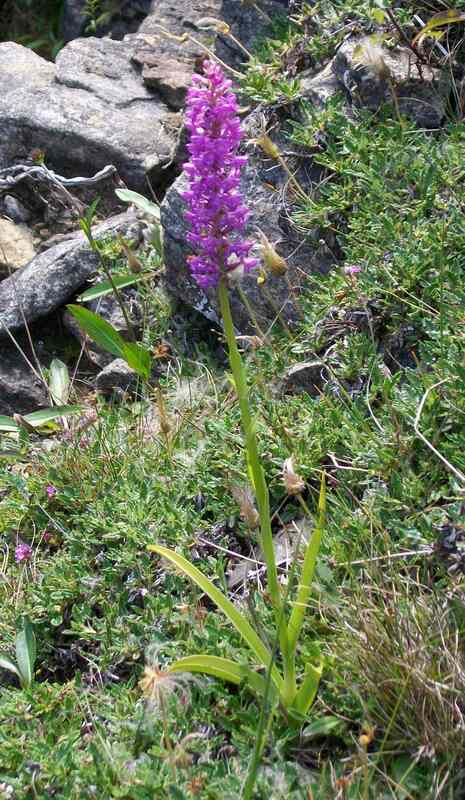 The other seemed to be D. maculata (Heath Spotted-orchid) x D. incarnata, which is more widely found. Back on Raasay I spotted a plant next to Polystichum lonchitis (Holly-fern) and P. aculeatum (Hard Shield-fern) that seemed satisfyingly intermediate, suggesting the hybrid P. x illyricum. An initial response from Chris Page is positive but further work is needed to be sure. This is pretty rare with the current BSBI map showing no record since before 2000 and a total of nine 10km square records in which it has ever been recorded.